Royal Caribbean Cruises Ltd. announced today that it had purchased a two-thirds (66.7 percent) stake in luxury and expedition cruise line Silversea Cruises for approximately $1 billion. The deal, which is expected to be closed later in the year, gives Royal Caribbean Cruises Ltd. another avenue to take advantage of the growth in the luxury and expedition cruise markets, according to the company’s chairman and CEO Richard D. Fain. 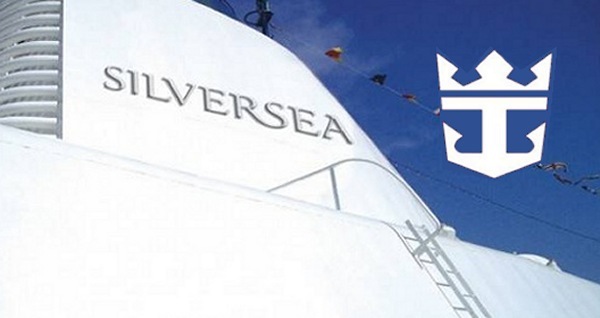 It also gives Silversea RCCL’s international resources, including savings in its operations costs. “Silversea has a long track record as the leader in high-end, small-ship ultra-luxury and expedition cruising, and our stake in this company enhances our current offerings and creates additional value for our shareholders. We are pleased to welcome the world-class team at Silversea and look forward to leveraging the talents of both teams to contribute to our continued successes,” he said in a statement. Fain also called Silversea “a crown jewel” in the luxury and expedition markets and a line that fills the gaps in Royal Caribbean Cruises’ portfolio. For travel agents, Fain said that the deal gives them the opportunity to sell another Royal brand that wasn’t previously offered. Silversea’s executive chairman Manfredi Lefebvre said in a statement accompanying the announcement that RCCL’s take in Silversea will allow the line “to grow at an unprecedented pace and will allow us to capture the burgeoning demand for ultra-luxury and expedition cruising.” Manfredi said teams will be put together in the future to help the transition to RCCL. “Only Richard and only Royal share our passion for experiential travel and our desire for excellence,” he added during Thursday’s call. With the deal Silversea joins Royal Caribbean International, Celebrity Cruises, Azamara Club Cruises, and more under the Royal Caribbean Cruises Ltd. umbrella.